Traduções disponíveis em: français (original) . Español . On March 27, 2011 this Web site, of the Charter of Human Responsibilities (CHR) network, was fully incorporated as a reference for the Ethics & Responsibilities program, which has taken over the activities of the CHR network. This Web site will no longer be updated but its content, reflecting the process of the CHR initiatives between 2001 and 2010, will be preserved as the valuable and fundamental reference for the development of the new program. This latter is designed as a follow-up and an enlargement of the CHR-network activities and is covering a broader thematic field, "Ethics & Responsibilities." Its goal is to circulate, for the attention of interested organizations, information, documents, books, and texts connected to this theme, and to offer a forum for sharing the thinking and activities in this field. 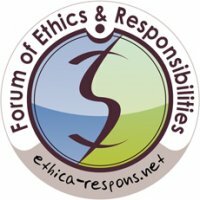 Discover the “Forum of Ethics and Responsibilities” now!